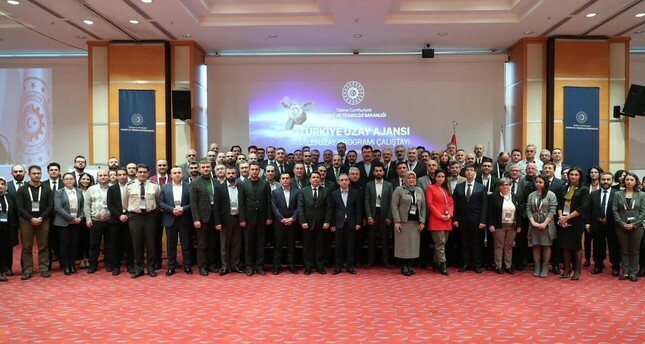 The leading Turkish scientists in various fields gathered for the latest round of workshops for Turkey's Space Agency, Industry and Technology Minister Mustafa Varank said Sunday. Varank said the discussions and the suggestions in the workshops would play a key role in development of the newly-established Space Agency. The latest workshop was attended by dozens of top Turkish scientists, including Dr. Ahmet Akgiray who developed an automated landing radar for NASA's Curiosity rover which landed on Mars in 2012. Dr. Mehmet Ali Ak and Dr. Sadık Murat Yüksel, the leaders of the team which developed the rocket engines for the world's leading artillery rocket system Toros 230/260, also joined Sunday's discussions, the minister said. Officially established last December, Turkey's national Space Agency aims to pave the way for the development of a competitive indigenous industry and determine the strategies and polices about space technologies. The Turkey Space Agency will prepare and carry out the National Space Program in line with the policies determined by the president of Turkey while having financial and administrative autonomy as well as a special budget.